Julian Assange has hit back at Ecuadorian presidential candidate Lenin Moreno for saying that the WikiLeaks founder should reduce his attempts to influence the politics of countries with which Ecuador has friendly relations. 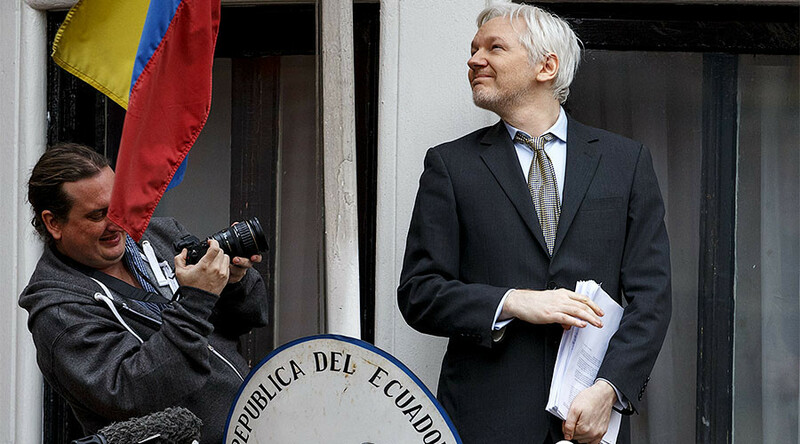 In a tweet, Assange said he’s open to discussions with Moreno and his rival candidate Guillermo Lasso but WikiLeaks “will not respond to pressure”. Assange, who is sheltered in the Ecuadorian embassy in London, is facing an uncertain future after the country’s presidential election. Lasso, who has voiced his opposition to Assange and pledged to evict him from the embassy, may no longer be a threat according to the polls, but Moreno has spoken to RT of his own concerns over the WikiLeaks founder. “One thing that is clear is that Assange will have to reduce meddling in the policies of the nations we have friendly relations with,” Moreno told RT Spanish. Moreno cited “the way [Assange] meddled with the election campaign in the United States” as something “one shouldn’t do” while at the embassy. “If you invite me to your place, I shouldn’t say bad things about your friends. If you give me shelter and I enjoy your hospitality, I should also show you respect,” the candidate said, adding that conditions would be set for Assange if he wishes to remain at the embassy. Assange’s tweeted comment that WikiLeaks publishes material online from the EU relates to the WikiLeaks servers, which are hosted in Sweden and a number of undisclosed locations. When the embassy was without internet in October Assange said WikiLeaks would not be affected as it does not publish from Ecuador. At the time he said he was sympathetic to Ecuador, claiming it faced a dilemma of having the US interfere with its elections if it appeared to interfere with America’s elections.